AWCLETHS current loop to TCP/IP Adapter allows the current loop data transmitted over Ethernet network over wired or wirelessly. Unit is configured with DIP switches and jumpers and runs on 24 VDC power from the dispenser. Adapter comes with two ports that support Serial RS232/485 and/or current loop communications. Unit can be used as active master or passive subscriber and its current port can be configurable from 20 mA to 45 mA. AvaLAN, the provider of secure networking devices and services, today announces a new way to connect and manage current loop and RS232/RS485 serial devices. Developed for the retail fueling industry, the AWCLETHS enables current loop data communications to flow through a TCI/IP Ethernet network. AvaLAN, the provider of secure networking devices and services, today announces a new way to connect and manage current loop and RS232/RS485 serial devices. Developed for the retail fueling industry, the AWCLETHS enables current loop data communications to flow through a TCI/IP Ethernet network. This newly developed networking technology will enable modern forms of network security to be applied to insure the integrity of the data. Additionally, making the current loop data compatible in an Ethernet network allows the data to be transmitters over wired or wireless mediums. Wireless current loop technology from AvaLAN will enable flexibility, network control and ease of installation for fuel dispensers in a retail forecourt. 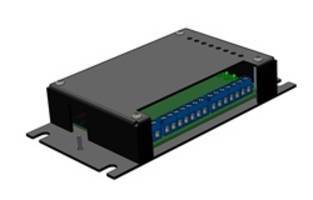 AvaLAN’s new current loop to TCP/IP adapter will have two ports that can be enabled to support either Serial RS232/485 and/or current loop communications. Each adapter can either be used as an active master or a passive subscriber. Solving customer and industry problems has always been the foundation of AvaLAN’s products. Retail fuel customers have asked to be able to control their dispenser through Ethernet networks and this new product is the answer to enabling a secure and reliable networking infrastructure. “AvaLAN continues to demonstrate value and solve customers’ needs for critical data networking infrastructure.” said AvaLAN’s CEO, Matt Nelson. AvaLAN designs their solutions to be simple for integrators that might not be that familiar with networking technology. This current loop adapter is configured with DIP switches and jumpers so there is no computer needed which means fast and easy installation. This devices runs on 24 VDC power from the dispenser or the ability to be powered over Ethernet. Each current loop port has configurable current settings from 20mA to 45mA. The new current loop adapter will be UL certified for installation inside a fuel dispenser and will be available for early sampling at the end of Q1-2018. Contact AvaLAN for pricing and availability. AvaLAN was founded in Silicon Valley in 2004 to create reliable Ethernet connections for devices. Specializing in 900mhz frequency wireless technology the company grew in its early years connecting IP Surveillance cameras. Additionally, AvaLAN differentiated itself from other wireless technology companies by focusing on IoT applications instead of connecting computers and mobile phones. Always delivering secure and reliable connections for a multitude of industrial devices. AvaLAN continues to innovate with solutions for commercial and retail fueling stations, digital signage, retail point-of-sale and other industrial automation applications. While Wireless technology innovation and manufacturing is at AvaLAN’s core, AvaLAN continues to focus on solving customer’s problems with complete solutions. Inc. Magazine included AvaLAN Wireless on its 35th annual pick of 5000 of the nation’s fastest-growing private companies.